This is a category archives page for website postings. 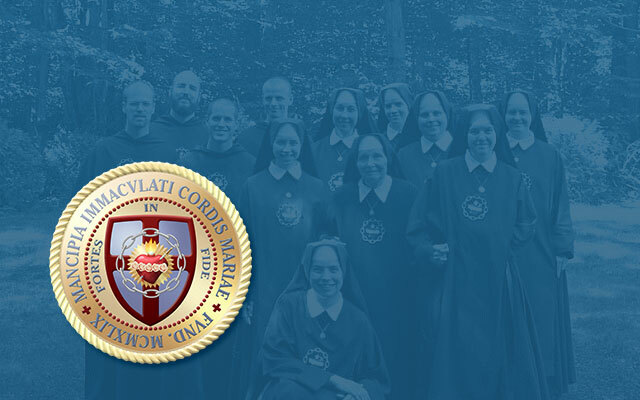 Click here for the Slaves of the Immaculate Heart of Mary (M.I.C.M.) vocations pages. There are four states in life through which the faithful may sanctify themselves: the priesthood, the religious life, Holy Matrimony, and the chaste single state. The priesthood is a sacred office in the church, which one is only surely given through the “canonical call” of the bishop at ordination. A religious vocation is a life consecrated by vow to the evangelical counsels of poverty, chastity, and obedience. If not called to the religious life or priesthood, a man or woman has to make one of two choices: the married state, or the chaste single state. Whatever state one chooses, he must pursue it as a stable form of life through which he can sanctify himself. Of course, before one chooses a state in life, one should seek the counsel of a trusted spiritual director, reflect carefully and prayerfully on this most important of all decisions, and patiently await the answer that God will eventually plant it in the heart. Many times reading about the saints, or other devout Catholics who made their mark in the history of the Church, can be of great help in discerning a vocation. The articles in this section provide the kind of information that younger readers will find very helpful in choosing the right state of life and older readers will find beneficial in fulfilling the state in life to which they are already committed. Immediately below are some of the featured entries in this category. Further down, all the entries in this category may be found. On vocations and states in life, by Brother André Marie, M.I.C.M. Are You Called? — by Fr. William ‘Willie’ Doyle S.J., M.C. A Word To Parents — by Fr. William ‘Willie’ Doyle S.J., M.C. A Vocation (to the Religious State) — By Father Louis Colin, C.Ss.R. You Have Taken Refuge in God — An Address Given at the Brothers’ Profession — by Brother André Marie, M.I.C.M. ‘Just a Brother’— by Brother André Marie, M.I.C.M. Are You Called to Be a Teaching Brother?